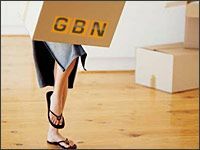 Business Storage Solutions | GBN SelfStore Ltd. So you have run out of shop space and are looking for a cost saving storage solution? Need to extend your warehousing or store documents? Whether you're looking to store a whole shop or just a small load or archive your business paperwork, this could be a cost-effective and flexible solution for your business. So, just what is Self-Storage? 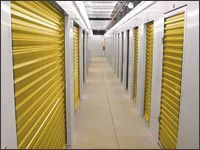 Self Storage offers both personal and business users a storage solution that they basically control themselves. As with more traditional storage methods, GBN SelfStore allows you to rent secure CCTV monitored storage space where you can keep goods and belongings in dedicated facilities. With 24 hour access 7 days a week, you can access your goods at a time convenient to you. The measurements below give you a rough indication as to the square footage you need to store your goods. You can gauge which vehicle you may need depending on the above sizes.